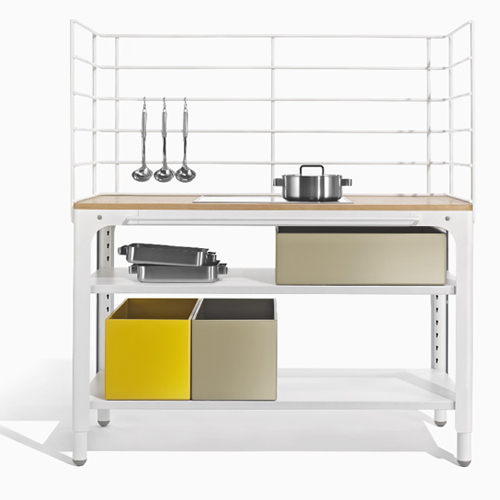 German designer Kilian Schindler has created this adaptable modular kitchen system for German kitchen accessories brand Naber. 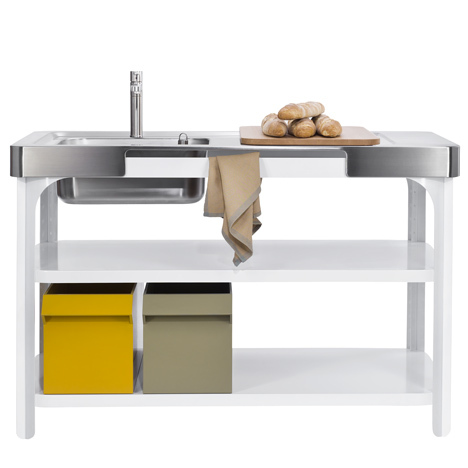 The conceptual kitchen comprises basic worktop units with either an oven, sink or storage beneath. 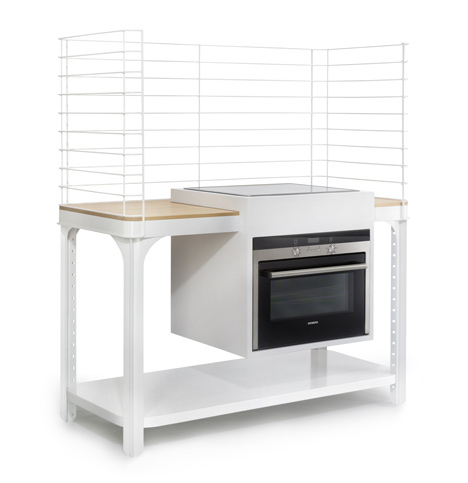 Extra shelves can be added beneath and a grid fitted round the back supports utensils.